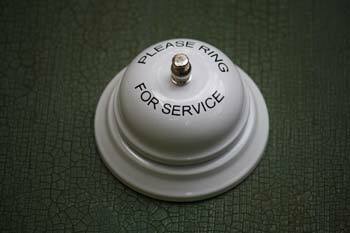 Our call bells and desk bells will get people jumping to service with just a simple ring! Put service bells on counters, tables, podiums, and desks. 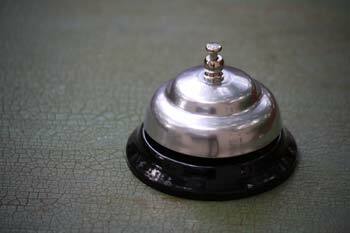 These bells are a must have for every service industry. 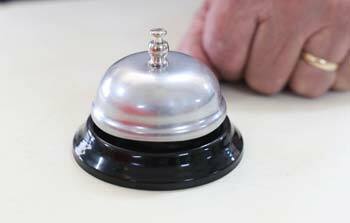 From restaurants, to stores, to hotels, there is always a need for a quality service bell. 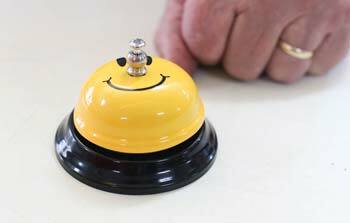 Ring the hotel bell and the bellhop will "hop" to carry the luggage of guests. The bellhop is associated with a call bell or desk bell and wears a uniform with a hat.